Posted on November 22, 2018 by M.E. I’m thankful for life!! Simple things like legs to walk, ears to hear, and sight so that I might see!! Also, my mother and father who are alive and healthy as well as my extended family, relatives and friends. May peace, joy and love fill your hearts during this holiday season and in the new year to come !!!! Posted on January 4, 2018 by M.E. 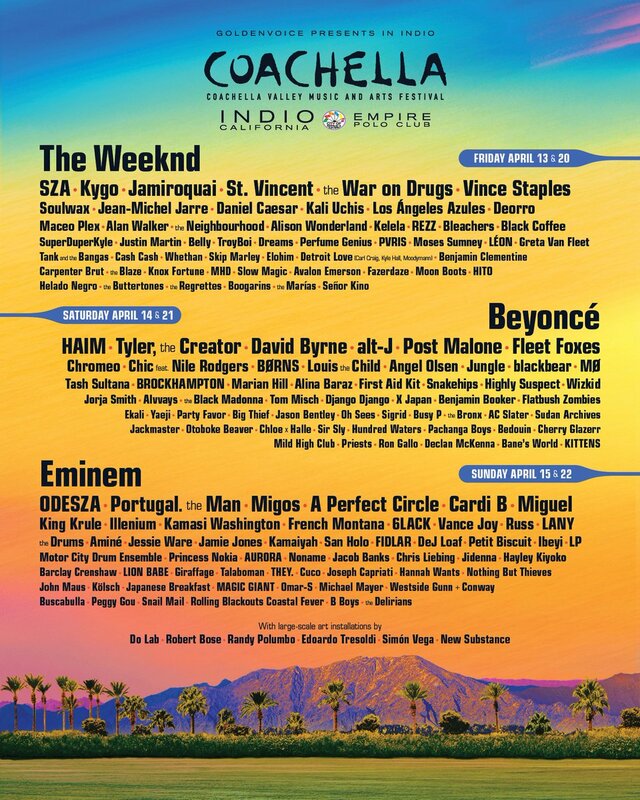 This week the organizers of COACHELLA released the official line up for the big festival going down in April. As previously reported Beyonce will be the first Black woman to headline the festival. She was due to perform last year; however, her pregnancy prevented her from doing so. Newly added headliners have been confirmed as Eminem and the Weeknd. Other performers for the jam-packed festival include SZA, Tyler the Creator, Migos, Cardi B, and Miguel just to name a few. Posted on November 11, 2017 by M.E. The soulful and introspective song see’s Eminem in a different light reflecting over his life and the pressures that sometimes encompass being a successful celebrity. The track has already landed at #1 on itunes.